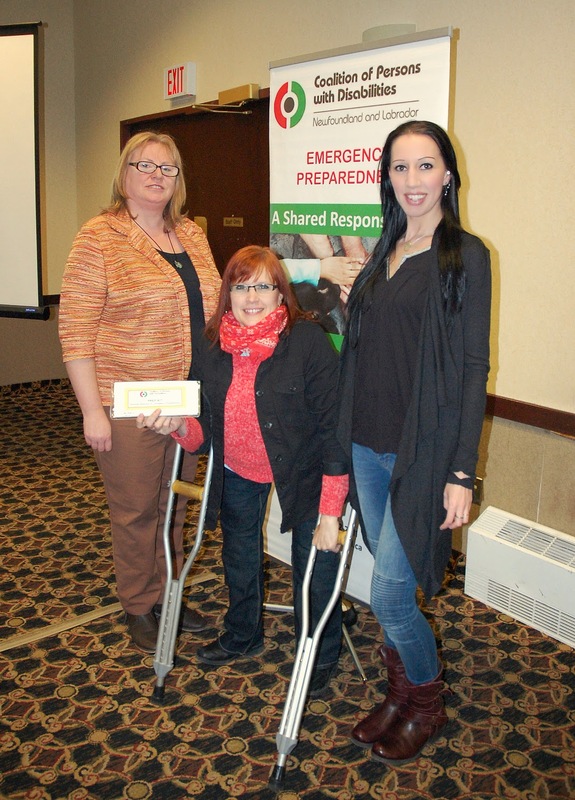 This week, I attended A Shared Responsibility: A Workshop on Emergency Preparedness for Persons with Disabilities. It is important that everyone have a plan in place in case of emergencies. All Canadians are encouraged to be prepared to cope for at least the first 72 hours of an emergency, while emergency workers focus on those in urgent need. People with disabilities may have special needs to consider in the event of an emergency, and if you have a disability, it may require extra planning to handle an emergency. Imagine that you are a person who uses a ventilator for breathing, and can only breathe on your own for about two hours without the ventilator. It would be essential in an emergency evacuation to make sure that the ventilator (and any other medical supplies) go along with you in an emergency. Imagine that you are a person who lives with cerebral palsy. You have some cognitive impairment, communication delays, and are taking a new medication. In the event of an emergency situation, it would be important for first responders to speak to you calmly and with kindness and patience. They would need to know where to find your medication, if you weren't able to communicate that information, and it would have to accompany you in the case of an evacuation. Imagine the situation in Gander during the September 11th attacks in 2001. There were over 6000 passengers diverted to that area, all needing shelter, food and accommodations. Of those 6000 passengers, there were many with disabilities. Some with wheelchairs that needed help with transportation, and some with service animals that were stuck in cargo. Though things went as well or better than could be expected, given the circumstances, it was a wake-up call for our province about the need for emergency preparedness for persons with disabilities. It truly is a shared responsibility. It is important that people with disabilities and their family members make plans to protect themselves in the event of an emergency. In addition, first responders need to know how to work with people with disabilities to treat them or evacuate them safely and quickly. This project has two focuses. The first is to bring increased awareness of disability-specific issues to first responders as well as municipal and community leaders. The second focus is to educate persons with disabilities about their responsibilities and need for personal planning in the event of emergencies. Persons with disabilities can lessen the impact of a disaster by taking steps to become prepared before an event occurs. 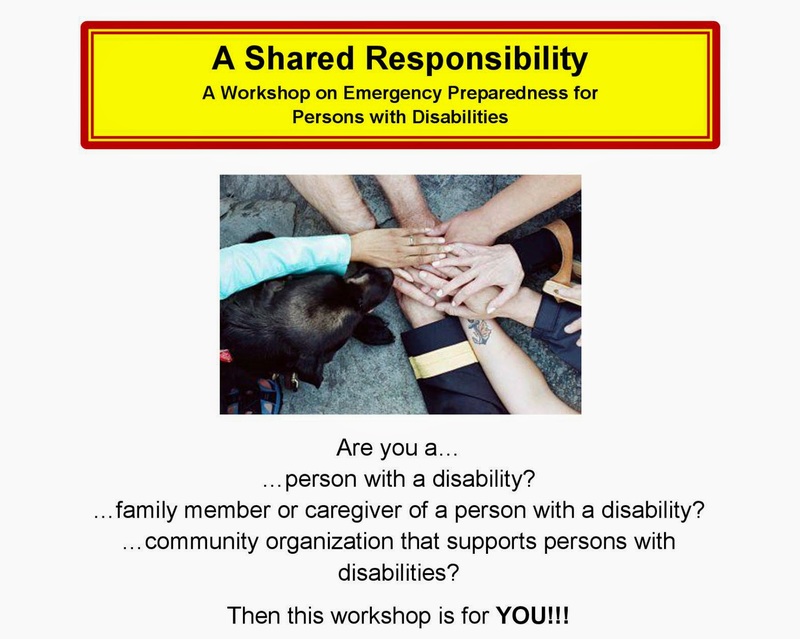 Lead by the Coalition for Persons with Disabilities, this initiative has been guided by a 21-member task force that includes organizations and individuals that have experience in emergency preparedness and/or matters concerning persons with disabilities. The federal government has considerable information available about emergency preparedness and there is great awareness worldwide about the need for planning. The Coalition gathered existing information and developed a resource booklet that is specific to our province. They then engaged first responders and others interested in emergency planning, providing them with training to support the use of the resource booklet. 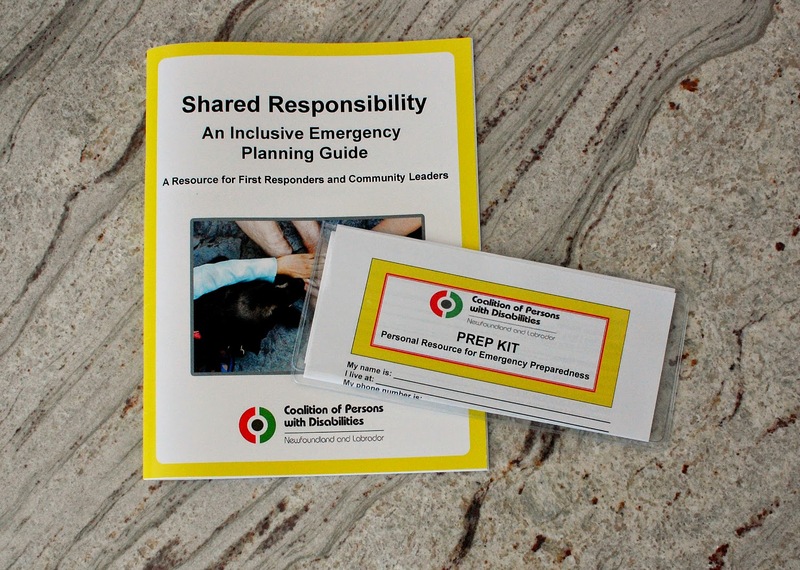 A Shared Responsibility - An Inclusive Emergency Planning Guide - A Resource for First Responders and Community Leaders can be downloaded online HERE. The PREP Kit - A Personal Resource for Emergency Preparedness can be found HERE. You can edit the form and personalize it for your own specific needs. The Government of Canada also has an online Emergency Preparedness Guide for People with Disabilities / Special Needs. We never know when an emergency might happen. They can occur suddenly and sometimes without any advanced warning. Being prepared for an emergency situation can make a big difference in the impact it will have on a community and its people. Download the PREP Kit, fill it out, and stick it on your fridge. First responders are trained to look for it there. Emergency planning can save lives.